Brianna Bernard’s training story started like many other women’s. She had gained 70 pounds when pregnant but wasn’t overly concerned, thinking the weight would come off easily after her son was born. Before she knew it, he was turning one and she hadn’t exercised the entire year. She had resigned herself to the fact that now, as a stay-at-home mom, her life was all about her son and she felt selfish prioritizing her own health and wellbeing when she could be spending the time with her son. Then, after hearing about another woman’s weight loss journey at Minneapolis gym, Bodies by Burgoon, she decided to give it a try. 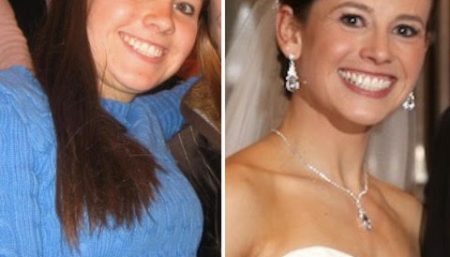 She completely changed her diet and was working out at the gym three times per week. 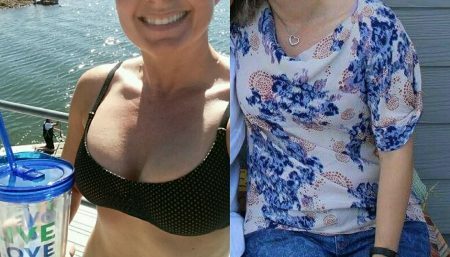 In 11 weeks, she had lost 30 pounds and that was just the beginning. Six short months later, she was down 50 pounds and had gone from a size 16 to a size 2. Now, Brianna is a trainer at the gym, helping other people reach their goals. 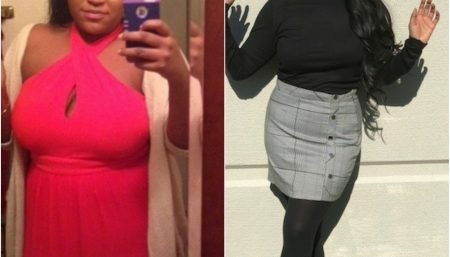 In the midst of her weight loss journey, Brianna also went through a divorce and the tough road of going from stay-at-home mom to getting back in the workforce. She is truly an inspiration. Women Fitness had the wonderful opportunity to get you some more fitness and weight loss tips from the Fitness Trainer Brianna Bernard. When I was pregnant with my son I gained a total of 70 pounds, escalating my body weight to 235. At the time, I wasn’t overly concerned about my weight gain because I was convinced that after the baby was born the weight would come off – but by the time Tye’s 1st birthday came around, my weight hadn’t budged, I wasn’t exercising and my eating habits were awful. I tried joining corporate gyms. I tried doing workout DVD’s in my living room. I tried following fad diets. But nothing stuck for more than a few days. After many failed attempts, I realized I couldn’t lose the weight on my own, so I hired a personal trainer to help hold me accountable. My weight loss journey changed my life in every way. It changed the way I feel about myself. It changed the way I parent my child. It changed my career path. It changed my relationship with food and exercise. One of the biggest challenges for me was overcoming emotional eating. In the past, when I had a bad day, I would eat an entire pepperoni pizza. When I felt sad or alone, I’d eat a half gallon of chocolate chip cookie dough ice cream. Or if I ate clean all week, I would ‘reward’ myself with a cheat day filled with cheeseburgers, waffle fries, tacos, brownies – everything I had deprived myself of all week. I was constantly self-medicating with food. It took a lot of practice, but over time I was able to shift my mindset. Now I eat to fuel my body instead of eating my feelings. For cardio, I mix in boxing and cycling throughout the week. I prep my meals and snacks in advance and carry all of my food for the day in a cooler. Every morning, I eat a bowl of Chocolate Peanut Butter Protein Oatmeal for breakfast (I use 1/2 cup of old fashioned oats, 1 scoop of chocolate protein powder, and 2 Tbsp of powdered peanut butter). Lunch and dinner usually consist of protein and a vegetable. My go-to’s are chicken breast with grilled asparagus or salmon with roasted Brussels sprouts. My favorite healthy snacks are raw almonds and blueberries, hard boiled eggs and cherry tomatoes and bell peppers with hummus. The supportive community of trainers and clients at my gym were integral parts of my success. When I walked into Bodies by Burgoon in Minneapolis and met owner and lead trainer, Jason Burgoon, for the first time, he made me feel comfortable, which was a feeling I hadn’t felt before in a gym environment. There was not one mirror or clock in the entire space. Just a group of like-minded people working together to become the strongest versions of themselves. When he spoke, I could tell that he genuinely cared about every person who walked through the door. And about halfway through our initial consultation, I said, “I realize we’ve just met and I barely know you. But I trust you. So I’m going to be here for training three days a week. Tell me what to eat and what not to eat, and I’ll do it.” I pushed myself hard during every training session. I logged all of my food in the MyFitness Pal app, ate a lot of lean protein and vegetables, drank a gallon of water every day, and the weight started coming off. And my gym family was there – supporting and encouraging me – every step of the way. I do not set New Year’s Resolutions because I don’t like the idea of waiting until the first of the year or a Monday or a birthday to set a new goal or make a change. However, I do find it helpful to have fitness goals because it gives my training purpose. Since losing weight, I have become a competitive powerlifter, so I use weekly training progressions to build lean muscle and increase my strength in the squat, bench press and deadlift. Preparing for my next competition helps me stay on track with my training and nutrition goals. Share with us some details about your life as a fitness trainer now. I am a Personal Trainer and Nutrition Coach at Bodies by Burgoon in Minneapolis, MN – the same gym that helped me lose my weight. In addition to training clients in our studio, I run our in-home training, virtual training and nutrition programs. I am also a Cycling Instructor at Torque Cycling, a sister-company to Bodies by Burgoon, which is located on the upper level of our facility. I am living proof of how someone’s life can be changed when people care for no reason. I am thankful that I get to wake up every day and help others find their strong – whatever that means to them. Need some more inspiration? 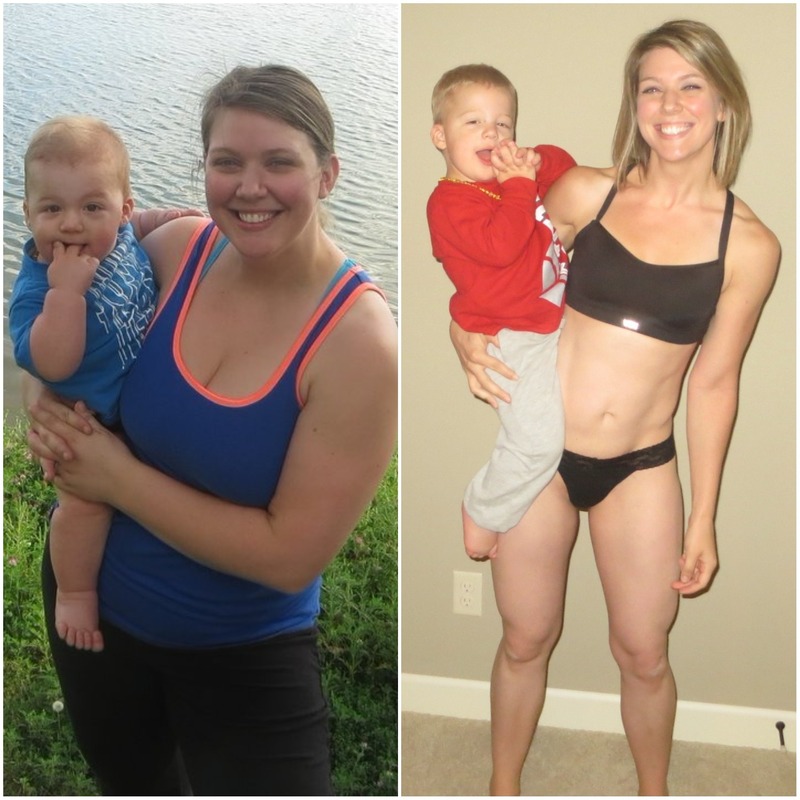 Check out how these women changed their lives with fitness!